Alexander McDonald of Newlands died 11th December 1872 aged 81. Wife Williamina McKay died 19th January 1884 aged 88. 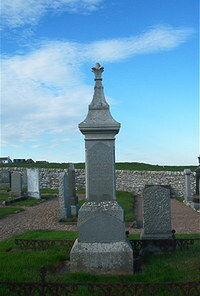 Daughter Elizabeth McDonald died 17th May 1870 aged 39.